These Standard-Duty Box Blade Scrapers are designed specifically for working topsoil, gravel, mulch, or manure. Ideal for use on the farm, at building sites, or outdoor arenas. 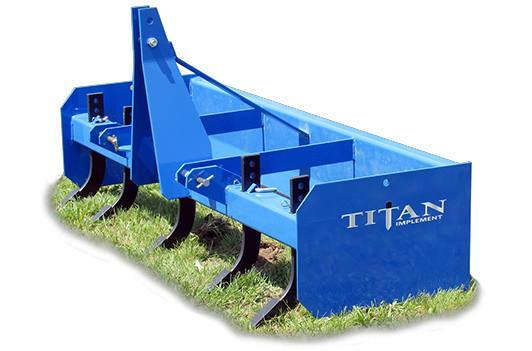 These scrapers are designed to work with 15 to 45 hp tractors, and are available in five different widths from 48” to 96”. They feature three to six adjustable ripper shanks (dependent on the width of the unit). The box blade has a 17” moldboard height, 22” depth, 6” cutting edge, and is Category I quick hitch compatible.